If you are a demanding person looking for a distinguished trophy, we highly suggest that you opt for one of Absi Jewel Box Trophies. The JB trophies make your logo or message appear like a rare gem, that is why the collection is called the jewel box collection. 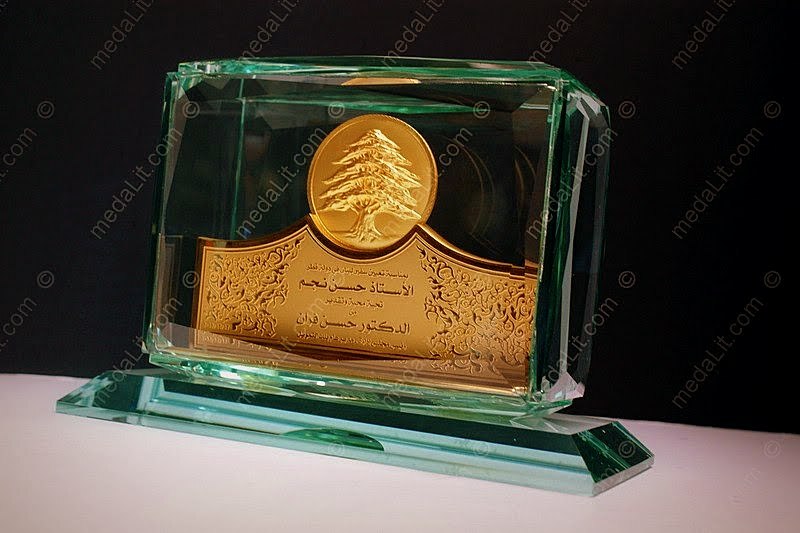 The JB (jewel box) trophies are composed of one or more medal mounted on a plate or a raiser decorated with suitable parts, medals are 24k gold plated. All pieces are shaped and engraved to embody your message and are treasured and preserved in a very accurately cut, sealed from all sides beveled glass box. The trophy and the JB are boxed in a luxury velvet or wooden box. 24K gold plated brass parts. Pieces are shaped and engraved to embody your message. Boxed in a luxury velvet or wooden box.